Brit Marling’s second red carpet appearance in so many days, saw her attend the preview of SFFILM’s ‘The OA’ Part II on Wednesday (March 20) in San Francisco, California. 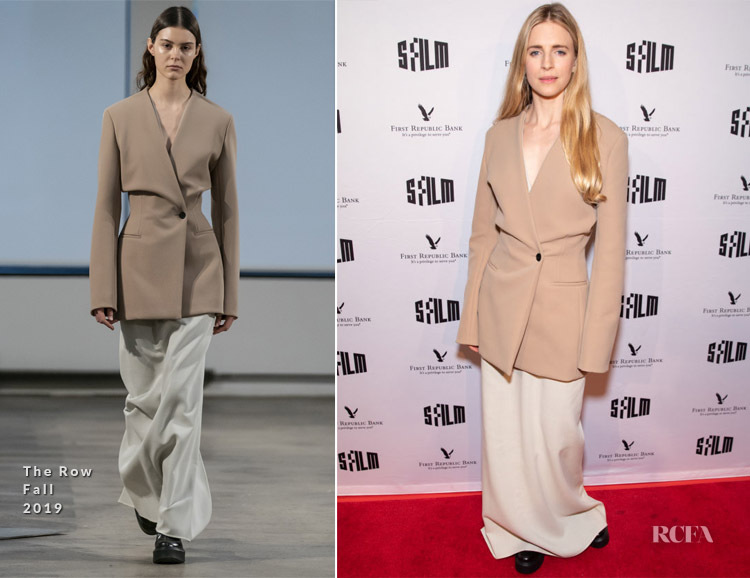 Beautifully tailored, her The Row Fall 2019 look is striking in the most refined and elevated way. The ‘Aimee’ twisted blazer adds a modern note, which was partnered perfectly with her simple ‘Leanna’ ivory maxi dress. I wanted to dislike the motorbike boots, but I kinda love how it brings an urbane flair to the look in a very Mary-Kate and Ashley Olsen way.